Tonight we had the pleasure of hosting Philippe Rahm as part of the IaaC Spring Lecture Series with a lecture entitled Thermodynamic Cities. Mr Rahm discussed themes regarding thermodynamics applied to architectural design, on all scales, through a series of works that have been developed in his Studio Philippe Rahm Architectes. Philippe Rahm is architect, principal in the office of Philippe Rahm architectes, based in Paris, France. His work, which extends the field of architecture from the physiological to the meteorological, has received an international audience in the context of sustainability. In 2002, he was chosen to represent Switzerland at the 8th Architecture Biennale in Venice, and was one of the 25 Manifesto’s Architects of Aaron Betsky’s 2008 Architectural Venice Biennale. He is nominee in 2009 for the Ordos Prize in China and in 2010 and 2008 for the International Chernikov Prize in Moscow where he was ranked in the top ten. He has participated in a number of exhibitions worldwide (Archilab, Orléans, France 2000; SF-MoMA 2001; CCA Kitakyushu 2004; Centre Pompidou, Paris, 2003-2006 and 2007; Manifesta 7, 2008; Louisiana museum, Denmark, 2009; Guggenheim Museum, New-York 2010). In 2007, he had a personal exhibition at the Canadian Centre for Architecture in Montreal. Mr. Rahm was a resident at the Villa Medici in Rome (2000). He was Headmaster at the AA School in London in 2005-2006, Visiting professor at the Mendrisio Academy of Architecture in Switzerland in 2004 and 2005, at the ETH Lausanne in 2006 and 2007, at the School of Architecture of the Royal Danish Academy of Fine Arts of Copenhagen in 2009- 2010, in Oslo at the AHO in 2010-2011. From 2010 to 2012, he held the Jean Labatut Professorship in Princeton University, USA. 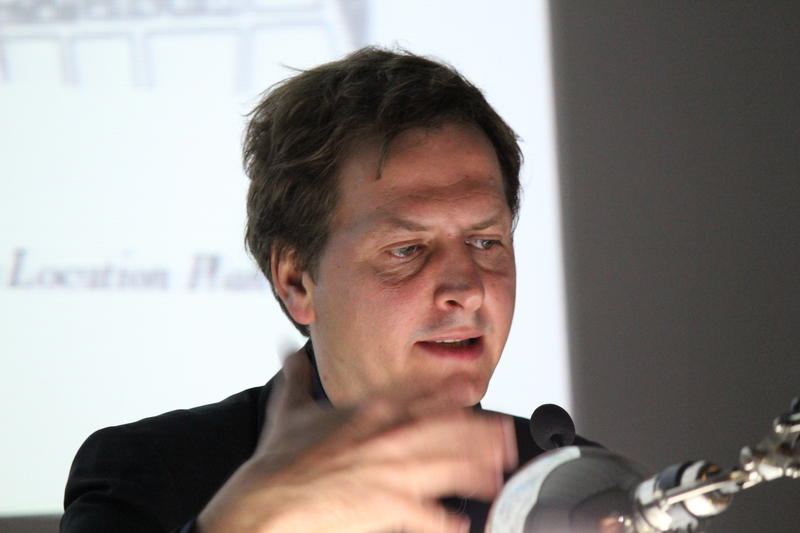 He has lectured widely, including at Harvard School of Design, Cooper Union, UCLA and the ETH Zürich. He is working on several private and public projects in France, Taiwan, Italy and Germany. His recent work includes in 2011 the first prize for the 69ha Taichung Gateway Park in Taiwan, an office building of 13000 m2 in La Défense in France for the EPADESA; a convective condominium for the IBA in Hamburg, Germany; the white geology, a stage design for contemporary art in the Grand-Palais on the Champs-Elysées in Paris in 2009 and a studio house for the artist Dominique Gonzalez-Foerster in 2008. Monographic books include Physiological architecture published by Birkhaüser in 2002, Distortions, published by HYX in 2005, Environ(ne)ment: Approaches for Tomorrow, published by Skira in 2006 and Architecture météorologique published by Archibooks in 2009.